Long Ivory Magnesite Necklace with Brass Coptic Cross. 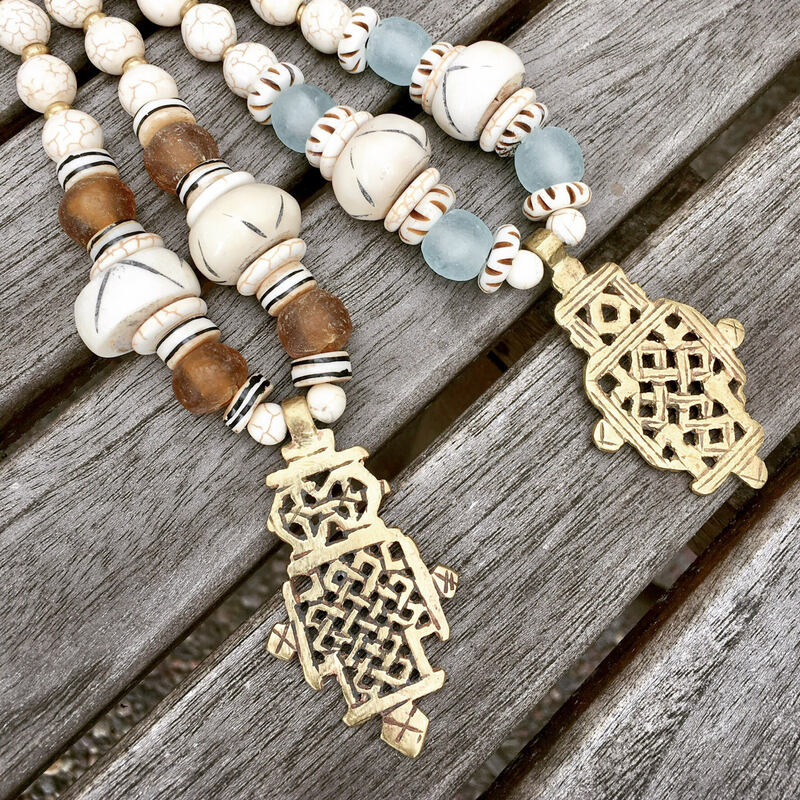 Beautiful 8 and 6mm ivory magnesite beads and brass coptic pendant with gold accents. 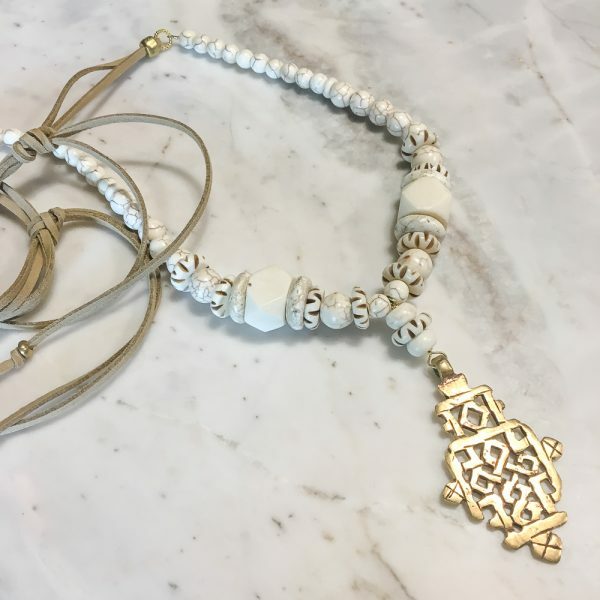 This necklace can be made with all ivory magnesite beads or it can be made like our traveling necklace with african bone and sea glass beads with adjustable leather straps. You can chose your color of sea glass accent beads – just message us. The choice is light blue, dark blue, green, pink, white and brown. The length of the beaded necklace is 34″. The cross pendant add 2.5″.